I already posted it on my Facebook and Twitter accounts, but I wanted to put my good news on the blog as well. 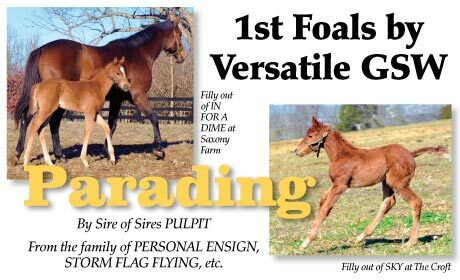 Faith was recently featured in an advertisement for Parading that was printed in the Blood-Horse and the Thoroughbred Times. The same ad also spent some time on the front page of the Claiborne website. As you can see, Faith is strutting her stuff in the picture on the right. I had a lot of emotions come over me when I saw this advertisement for the first time a couple of days ago. I was excited, happy, and slightly in shock. The journey Sky, Skype, and Faith have taken me on is truly amazing. This time two years ago, owning a horse was only a dream. This time last year, my dream had become a reality, I had been a horse owner for one month, and Sky had just been bred to Parading. Now a horse that I bred is being used in an advertisement for a stallion that stands at one of the most famous Thoroughbred farms in the entire world. It’s simply incredible. Faith seemed to like getting her picture taken the other day. The picture used in the advertisement was from her first photo shoot. 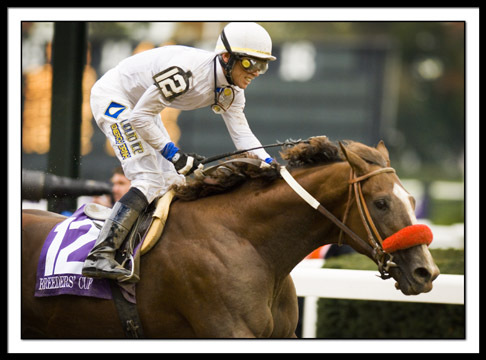 I hope that in a few years Faith will be getting her picture taken all the time…in the winner’s circle! Fergie – suggested by Sean Feld; Fergie is the lead singer of the Black Eyed Peas, the group that performed at halftime of this year’s Super Bowl. Aurie – suggested by Valerie; Aurie would be short for Aurora, the Latin goddess of the dawn who led the Sun across the Sky each day. The Observer suggested Eos, who is the Greek goddess of the dawn. Skittle – suggested by JemMox; He came up with the name by combining Sky and little. Personally, I think it’s a great nickname…especially if the “i” was changed to a “y” for Skyttle. 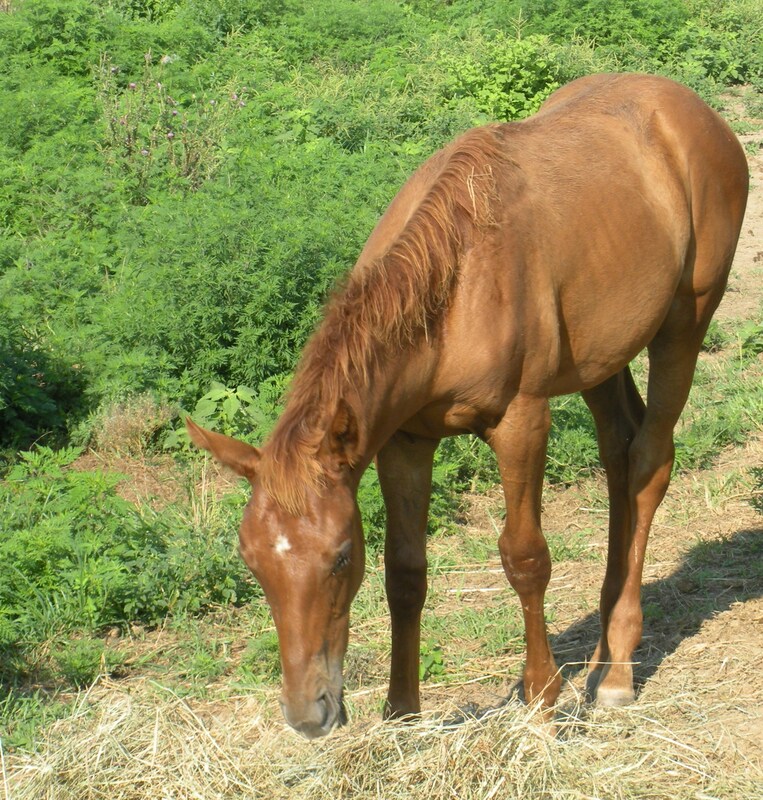 Float – suggested by Chris; A nickname that plays off the foal’s sire, Parading. I bet many of Parading’s registered names will include the word float. There were many other name suggestions, but those were just a few of my favorites. All of the name suggestions were great; however, none of the ones suggested will be used as the foal’s nickname. Instead, I will use a name that I came up with. Please don’t be too hard on me for not using a name suggested by one of the readers. I never had more than a goldfish growing up and so I’m taking advantage of being able to name an animal. 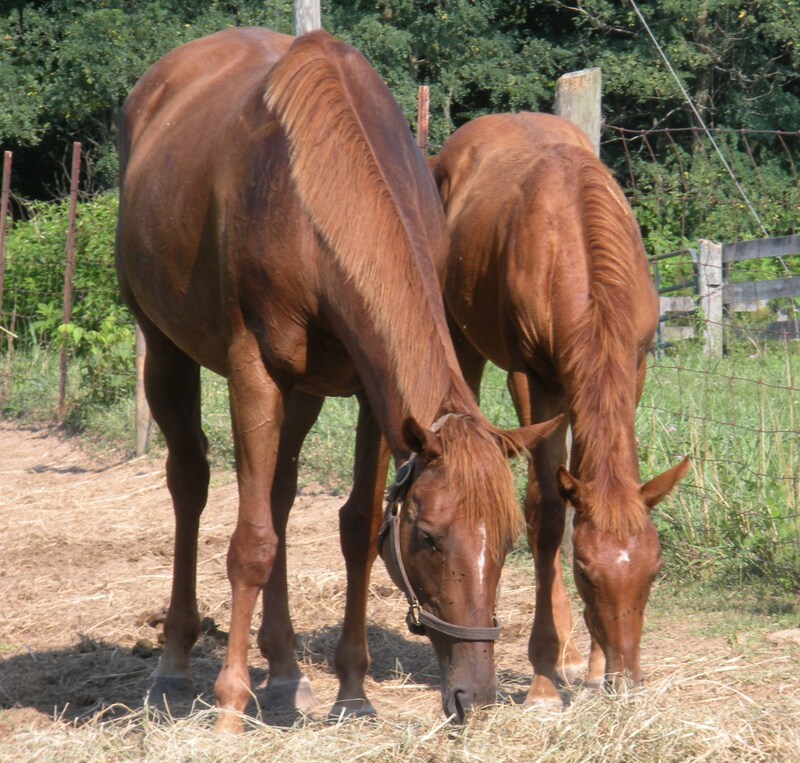 Perhaps someday I’ll own a big stable of horses and every reader of the blog can name one. Which reminds me…I need to go buy a lottery ticket soon. Anyway, back to the name of this foal. The filly was born on Super Bowl Sunday and I wanted to try to incorporate that into her name. I also wanted a short name, preferably just one word and only one or two syllables. Finally, I wanted something meaningful to me. I came up with a name that met all of those requirements. 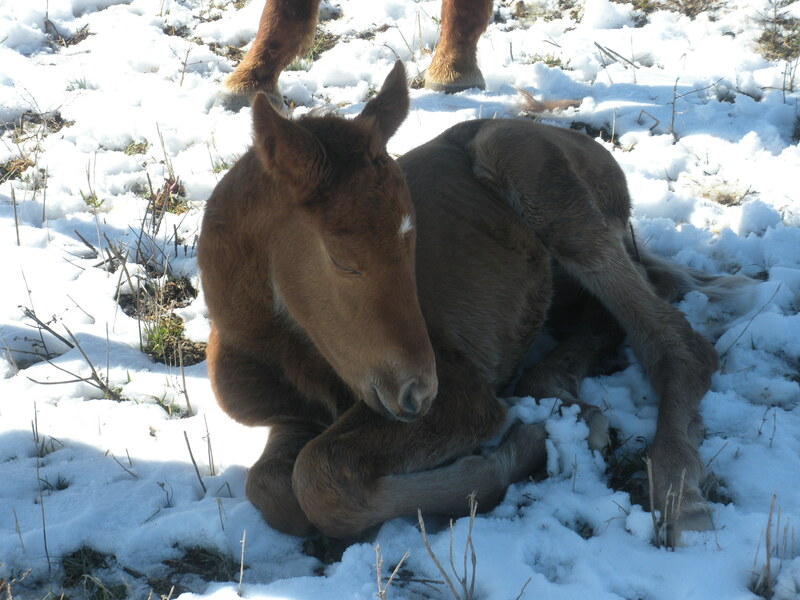 So…the nickname of the foal will be Faith. Thank you to everyone for all the support and kind words and a special thank you to the readers that suggested a nickname. She has a big sister named Skype and an older brother named Sky Above. It is only her nickname, so I’d like it to be just one word and only one or two syllables. It’s hard to name an animal that you’ve never seen so the following videos should help you out. 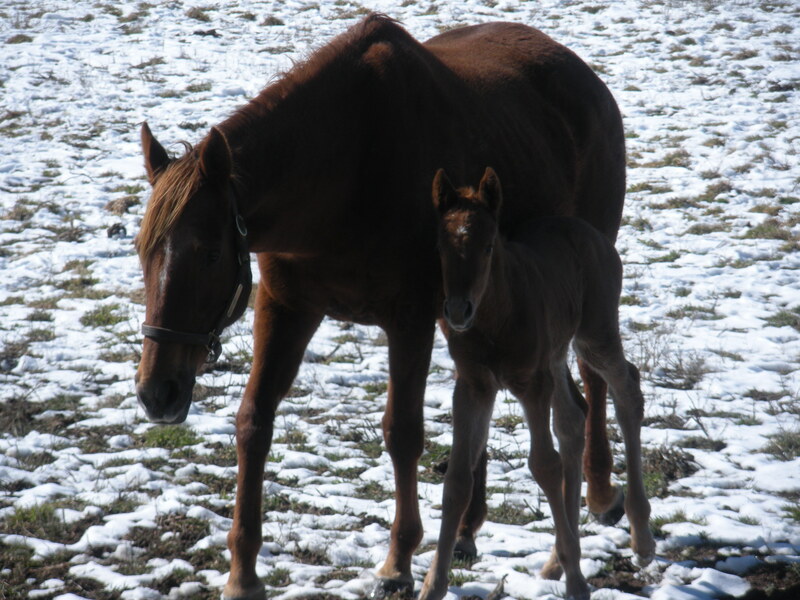 These videos were taken just an hour after the filly’s birth. Enjoy the videos and I’m looking forward to seeing what names you can come up with. The Parading foal is on the ground! Just wanted to let everyone know the good news. 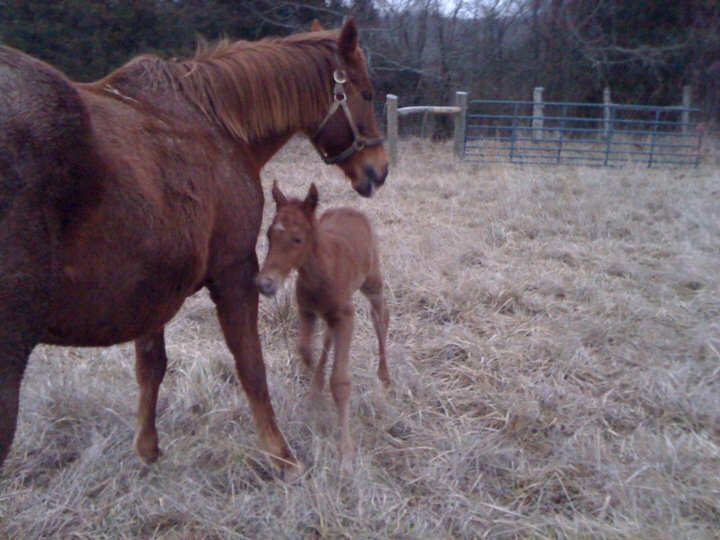 At 6:30 AM this morning, February 6th, Sky gave birth to a healthy chestnut filly! I will post more about the little foal soon, including pictures and videos of her. I am so happy that there is now a horse on the ground that I bred. 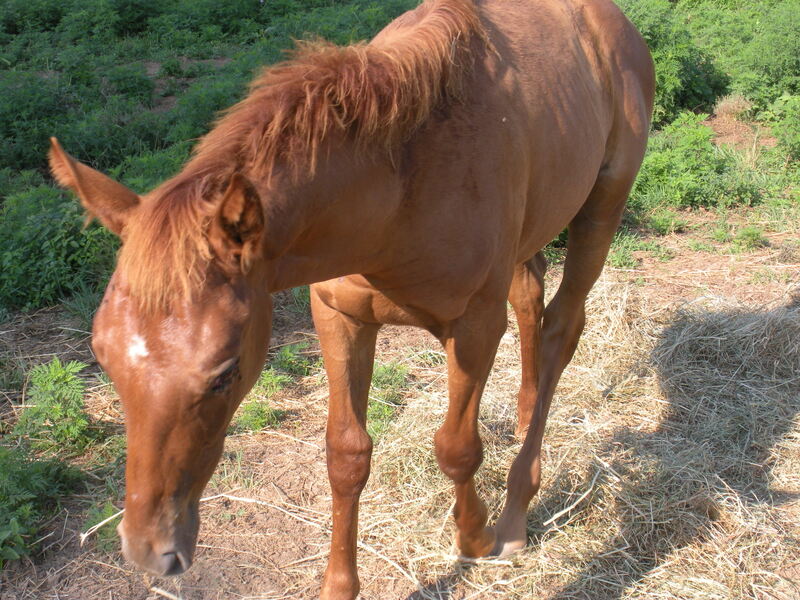 Remember… Skype was a week old when I bought her and her breeder is not me, but a wonderful gentleman named Sam Penn. This is the first foal that will go down as being bred by Travers Manley. This is a huge day for me and I could not be more proud. Here is one picture that I uploaded from my phone. The foal is just one hour old here.